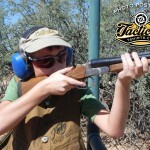 Blog Youth Guns—Build Or Buy? There are several “phases” one goes through as a hunter. They include a phase in which you just want to get an animal to prove you are a hunter. That is usually followed by a phase in which you try to get as many animals as you can to prove how well you hunt. From there, many transition to “trophy” hunting, which to me means a mature hunter who is selective in what animal they take. I’m in the next and final phase, mentoring, in which I take greater enjoyment in mentoring other hunters. With six kids, I have a lot of practice mentoring, so if I can pass along some free advice to someone entering the mentoring phase, it’s that “personalizing” a young shooter’s first gun of their own goes a long way toward making them take up shooting as a lifetime sport. 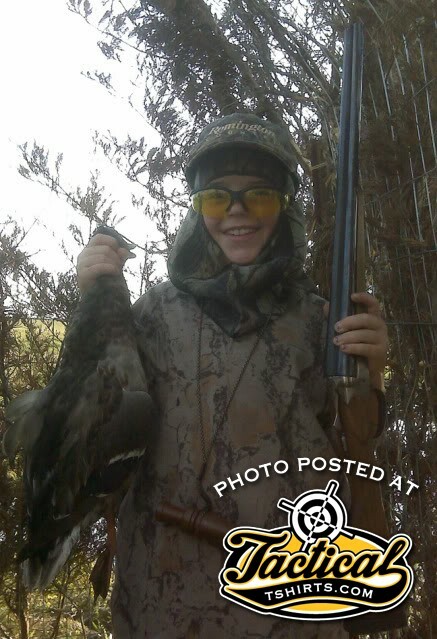 Loaded with bismuth shotshells, the pint-sized 28-ga. is as effective on decoying mallards as any full-size gun. While I started most of my kids who shoot using a Martini single shot .22 with a shortened stock, once they identified with a specific shooting discipline, I made sure their next gun was truly “their” gun. For example, my oldest son, Robert, gravitated toward big game hunting, so together we sporterized a Mauser rifle and chambered it appropriately in .257 Roberts. It was a pretty inexpensive build thanks to the large quantity of aftermarket sporterizing parts available for Mausers. When we shortened the buttstock to the optimal length of pull, we saved (and finished) the piece we cut off so we could attach it later when he was older. He’s a grown man now, and he and I both use that rifle on occasion, but in an instant we can remove the extension and shorten it for when he has kids of his own. 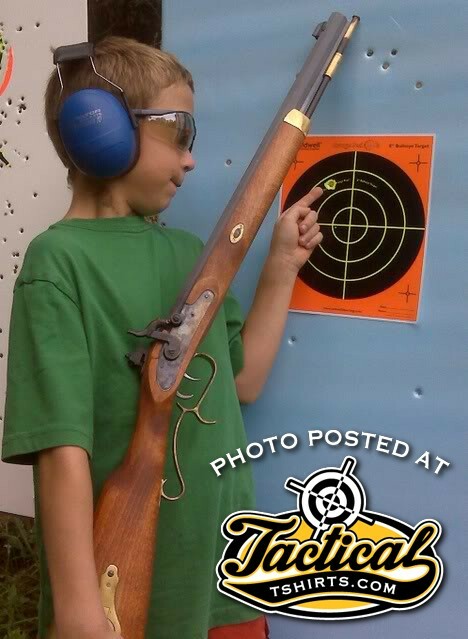 This little guy likes muzzleloaders so much that his first real gun was an inexpensive muzzleloader kit. While building the kit, the barrel and stock were shortened to accommodate his tiny frame. 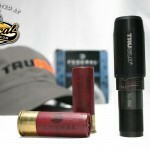 Being a muzzleloader, the powder charge can be decreased to a level he can manage. Daughter #1 was already 6’-3” when she took up clay target shooting at age 13. Her long length of pull and lithe arms presented a challenge because we needed a big gun, but not a heavy one. For her, the right gun came along when Mossberg incorporated its “Flex” technology into its 20-ga. shotgun. “Flex” allows you to quickly and easily change length of pull, so with the longest buttstock Mossberg offers, it’s the length she needs for her height, but the lighter gauge gun is easier for her to swing on moving targets. This 28-ga. is pipsqueak proportions but started out as a full-size adult shotgun. A couple hundred bucks invested in custom gunsmithing resulted in a starter shotgun that will be passed down for generations. Daughter #2 also turned out to be a shotgunner—specifically a classic upland bird hunter—and her gun was one of the more elaborate builds to undertake. With her nostalgic bent, the gun had to be a side-by-side but, because of her small size, recoil and overall gun size were big factors. Her answer came back when Remington was importing inexpensive Russian Baikal shotguns in the form of a full size 28-ga. The gun was a few hundred bucks and another couple of hundred went to our local gunsmith who shortened the barrels to 20 inches, shortened the length of pull to 11 inches, converted the big beavertail forend into a semi-splinter, cut off the pistol grip and slimmed down the overall proportions. 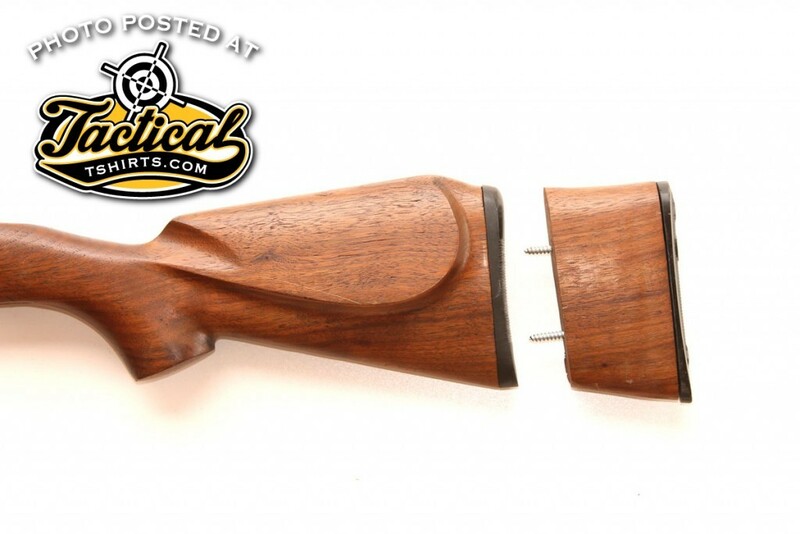 If you’re custom building a youth gun and end up shortening the stock, consider saving the part you cut off in a way that it can be reattached later when the shooter grows. Son #2 was enamored with the white clouds of smoke belched out by blackpowder guns. For him, we bought an inexpensive .45 caliber muzzleloader kit, and cut the stock, barrel and ramrod down accordingly and then finished the kit together. Cutting the barrel obviously made the sight radius much shorter, which makes aiming harder, and we couldn’t lower the rear sight enough to get his bullets to hit the bullseye. We solved everything with an aftermarket tang sight. Daughter #3 doesn’t shoot, but #4 is looking forward to drawing her first big game tag in a few years. 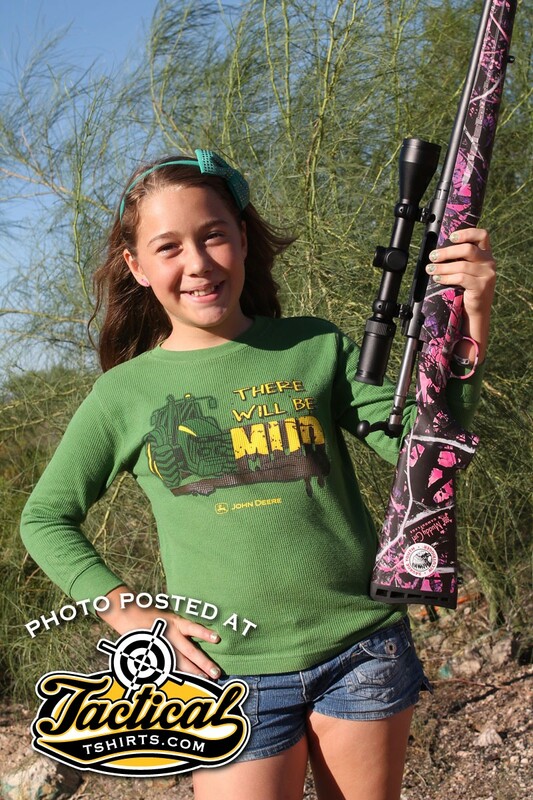 She has a sassy attitude, so for her I recently bought a Savage Axis II “Muddy Girl” rifle in .243 Win. caliber. It suits her demeanor, size and needs right out of the box. She’s still shooting reduced handloads, but she’s out-shooting both her big brothers and by the time we put her in for the draw, she should be up to full power loads. 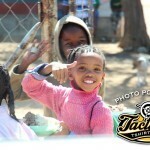 “There will be mud.” Savage’s Muddy Girl youth model suits this young shooter’s sassy attitude. She looks forward to showing off her shooting skills on the range. So should you buy or build? Buying is faster, generally less expensive and you can still get fairly personalized. Spending the extra money customizing a gun for a kid may seem like a bit much—especially since they will grow out of them quickly. The upside is that they will to grow out of them quickly, so the guns don’t get used so much and will have a quality family heirloom they can pass on to their kids.